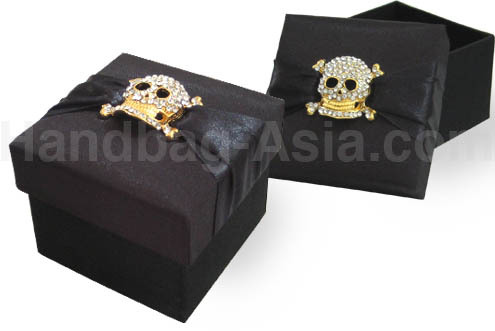 Black Gothic Style Halloween Party Favor Box with big gold plated crystal skull attached to the removable top of the box with a 2 inches satin ribbon. 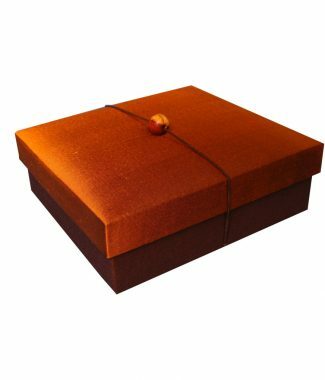 The box comes in any size you desire, is padded inside and outside and can be manufactured with faux silk as shown here, pure Thai silk or 100% dupioni silk. 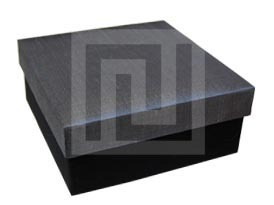 This box is suitable as well for Bachelore(ette) Party Favors, Heavy Metal Party Favors or Ghost Themed Party Favors. 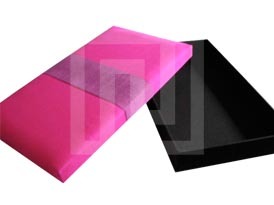 We can also customize your favor boxes with embroideries and other embellishments!